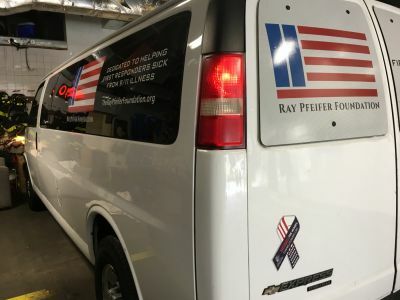 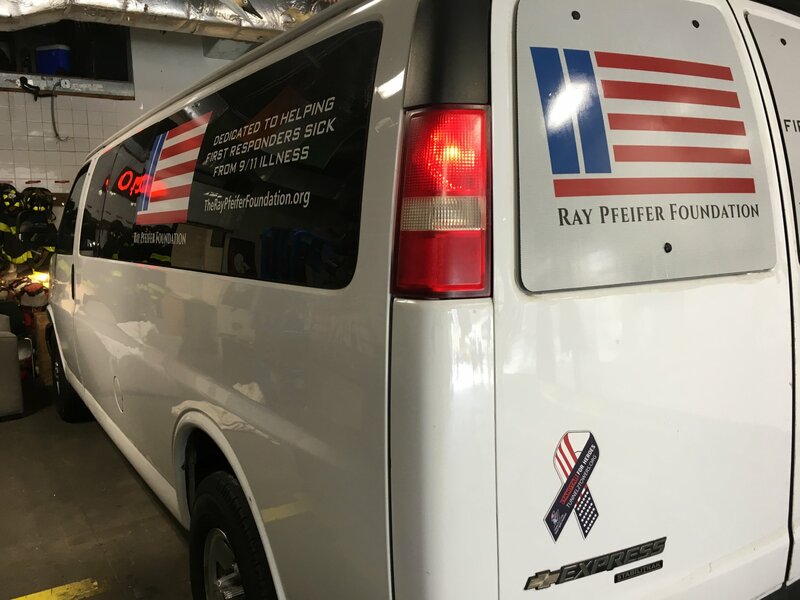 The Ray Pfeifer Foundation van was all packed up and ready for its first road trip. 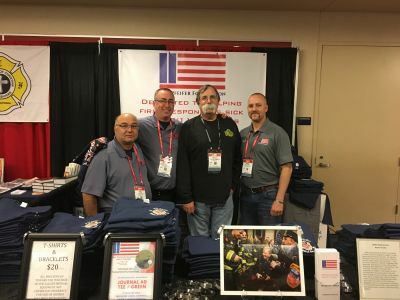 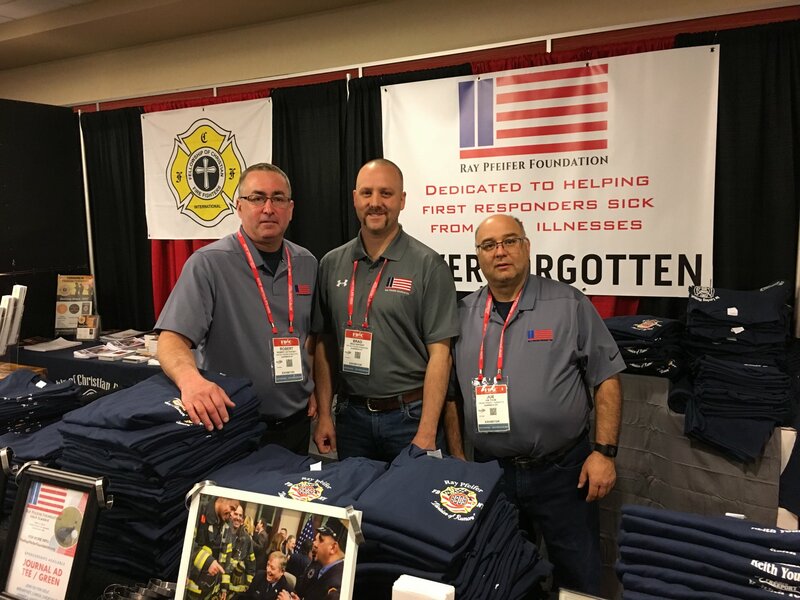 Robert Ostrofsky, Brad Reppert & Joe Tisbe had everything ready to go in Booth 7 at FDIC. 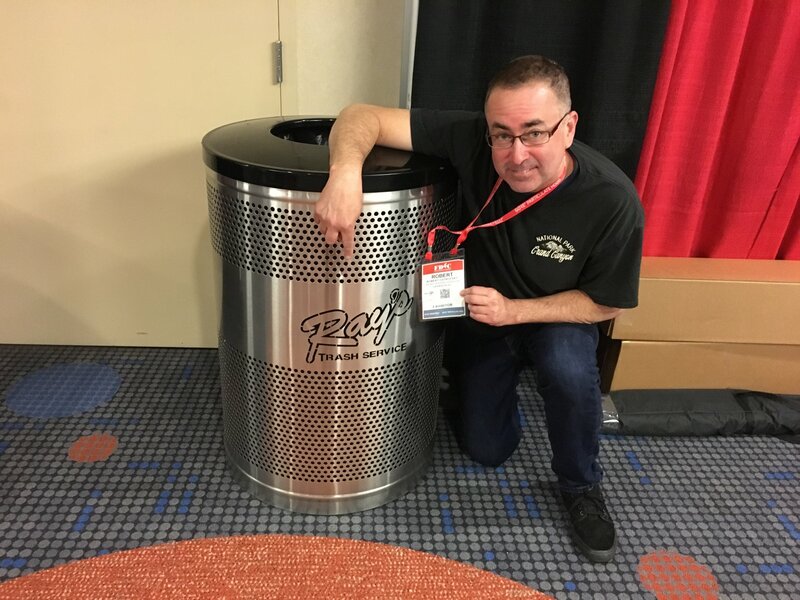 Robert and Pip from 555 Fitness always seem to bump into each other on the road. 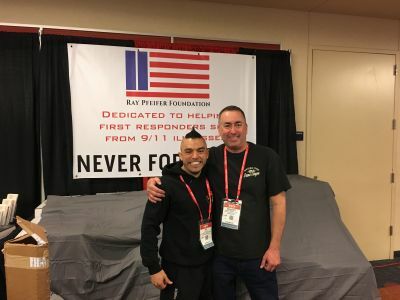 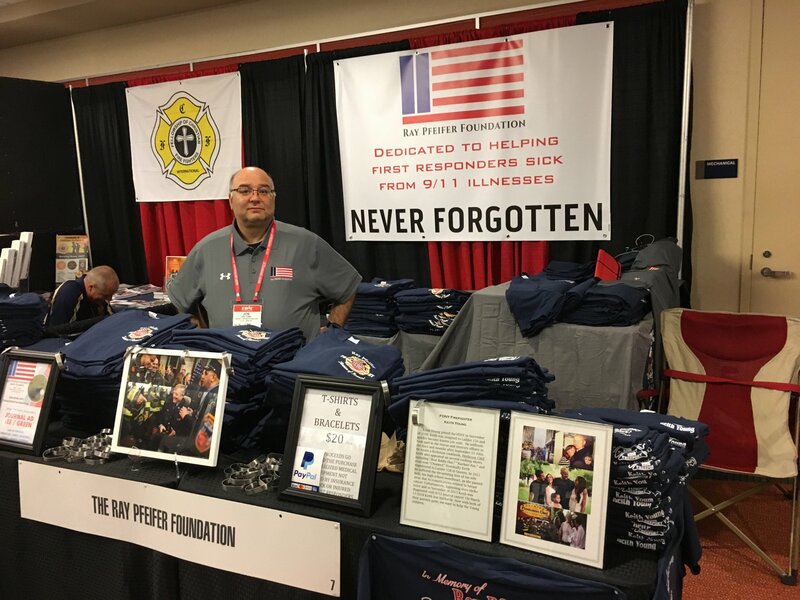 Joe Tisbe, our RPF Treasurer, sold lots of Ray Pfeifer memorial T-shirts throughout the weekend. 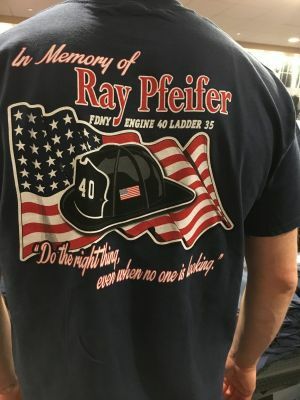 Ray follows us wherever we go. We met so many firemen from all over the world. Like this group from Chile. 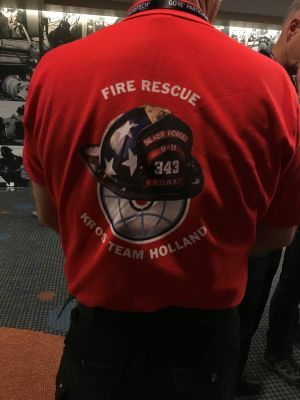 Then there was this group of firemen from Holland. 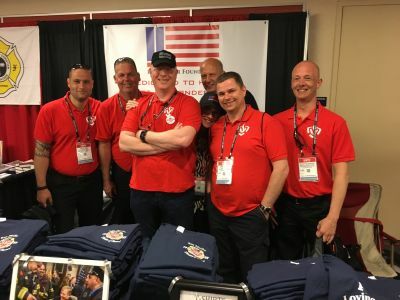 They were touring the country, but we just missed them in NYC. 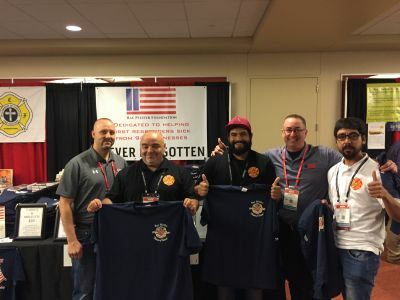 They'll be back. Of all the Indy neighbors in all the land. We stayed in an Airbnb and right next door were some firefighters from Arkansas. 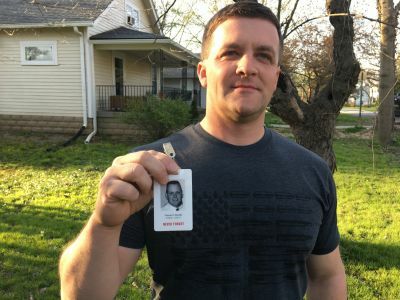 We bumped into Kurt outside and learned he had participated in the 9/11 Memorial Stair Climb earlier in the day. 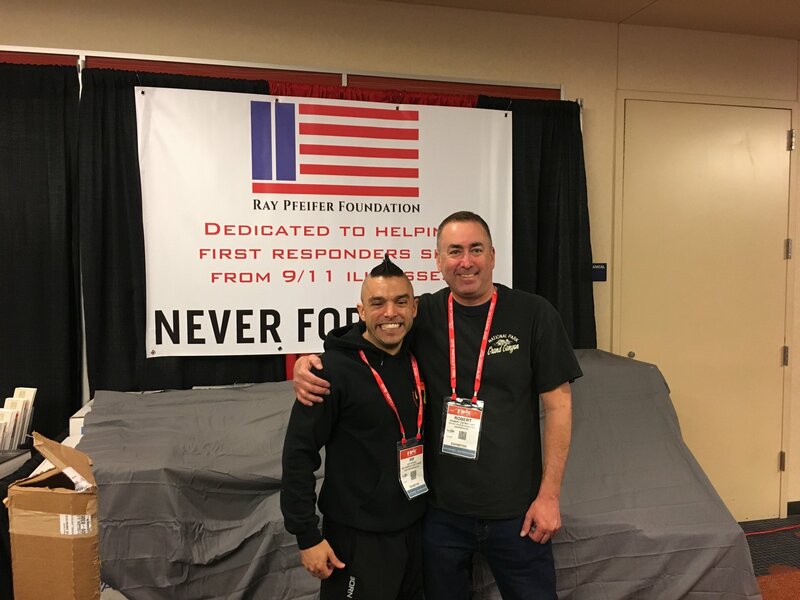 He honored Vincent Morello of Engine 40/Ladder 35. Totally random. 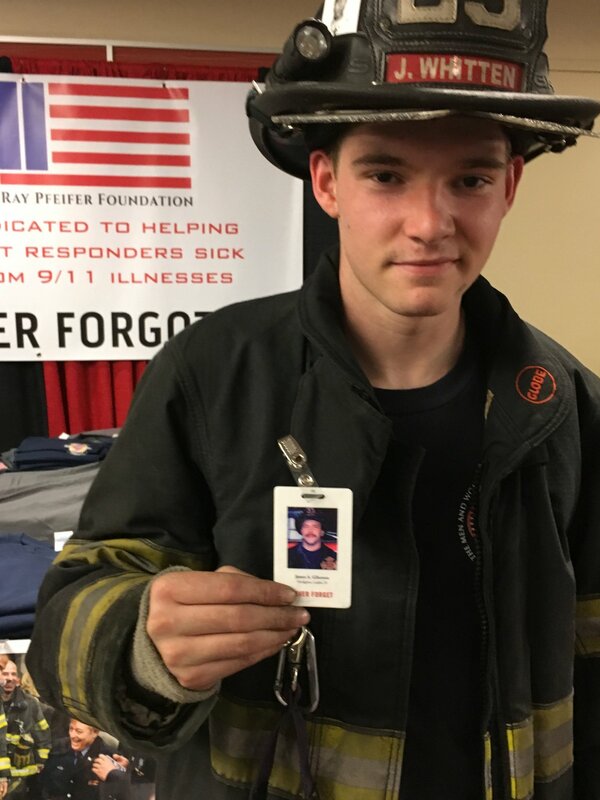 Firefighter Jake Whitten from Illiniois had just completed the FDIC 9/11 Memorial Stair Climb when he walked by our booth. He had just honored Jimmy Giberson of Engine 40/Ladder 35. Chief Billy Goldfeder stopped by our booth & we thanked him for all the proceeds he donated to RPF from selling a special T-shirt. 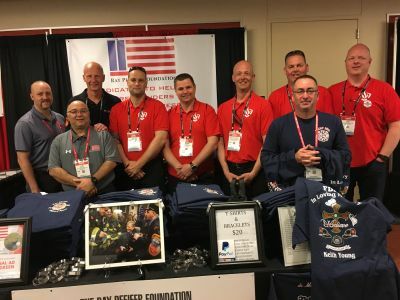 They're honoring our fallen FDNY members all over the world.